Janice Baker is a visual artist living and working in Eugene, Oregon. She works part time as a Nurse Educator for a local hospital inpatient mental health unit. She loves to paint seeing it as a challenge and a puzzle. Creating a narrative with art is what she feels she was meant to do in this life. 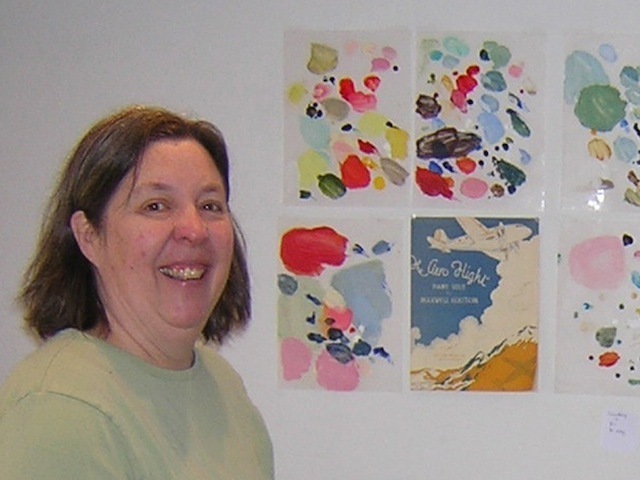 Since 2009, she has been working on xerox transfer paintings using my own drawings and a projector to create 100 small 2- sided paintings that the viewer can arrange as they wish.